Everyone wants a spotless and beautiful face which can attract the people around him/her. Infect, if a person has a weird face, then it is most annoying and stressful situation for him/her. It is a time where beauty matters a lot along with the brain. Many people get stressed with their ruined beauty which has hidden behind many skin problems such as red spot. Today, here in this article we’re going to tell you some tricks to that will surely help you to emerge out your real internal beauty which has hidden behind your scars and red spot. 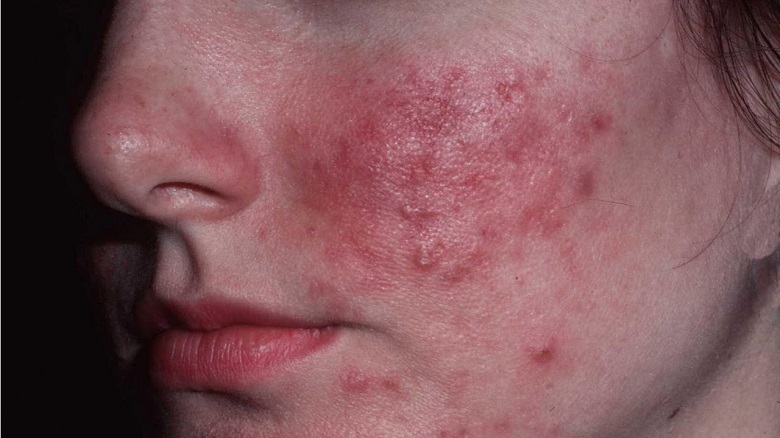 Usually, red spot on the face is a most common skin problem which people faced and can be caused due to various reasons like infection, allergy, acne, rosacea, hives and rashes, birthmark, measles or swelling. It can be seen in any part of your skin. Sometimes it couldn’t affect you, but it might be a sign of leukemia or blood cancer also. This spots look small and sometimes big in size and can create itching or pain. So, to get free from these red spots, you need to read this article attentively. Lemon juice is consists of citric acid, that helps to maintain pH balance and reduce the redness of the spots of your face. It also helps to tighten the skin pores. You need to take 1-2 tablespoon of lemon juice and cotton balls, then dip this balls on lemon juice and apply it to the affected area. Leave it for 5 minutes and rinse it with water. Aloe Vera contains the healing and soothing properties that help you to treat skin irritation and redness. It is rich in such nutrients and antioxidants healing compound that surely reduce your red spots and makes your skin glowing. For this you need to have an aloe Vera leaf or strip, hen scoop the aloe Vera gel from the leaf, apply it on red spots area and massage with it for 2-3 minutes. Leave the gel on your face for 20-30 minutes and then wash it with water. Sugar scrub is a very necessary ingredient which acts as an exfoliating substance which helps you to remove your red spot easily from your skin and give you spotless and glowing face. For this, you need to take a half cup of sugar and 2 tablespoons of raw milk and 2 tablespoons of honey in it. Apply this mixture on your face and scrub with it gently for 5 minutes. Then clean your face with cold water. Tomato juice or its pulp is also very helpful substance to vanish your red spot from your face. For this, you need to take a fresh tomato and cut it in half. Scoop out the pulp and apply it on your face, leave it for 20 minutes and then wash it. Its seems irritated to use egg which has a sticky smell that makes you feel like vomiting, but you can’t imagine that the egg white can effectively help to remove your red spot on the face. You just need to take an egg and break it. Separate the white part from the yellow yolk. Apply the white part of the egg on your red spot. Leave this pack for 15 minutes and then clean or wash it with cold water. Banana peel is also helpful to solve your red spot issue as it contains the ingredient like lutein which works as to treat your skin related issues as a red spot on face. For this, you need to take a banana peel and rub it on your face for 15 minutes and then wash it with regular water. Continuous doing this process daily can give you glowing skin and lightens your red spots. So, if you want to get free this skin related issues like a red spot on face, then I must suggest you should try this tricks. You gone a see the useful results by it.